Lara Estroff ’97 has received an Early Career Development Award from the National Science Foundation for her project “Synthesis, Characterization, and Application of Gel-Grown, Polymer-Reinforced Single Crystals.” The project focuses on recent observations, both in nature and in the laboratory, of macroscopic, single crystals with incorporated polymer fibers and other macromolecules. The project aims to understand the mechanisms by which these polymer networks become incorporated into macroscopic, single crystals. 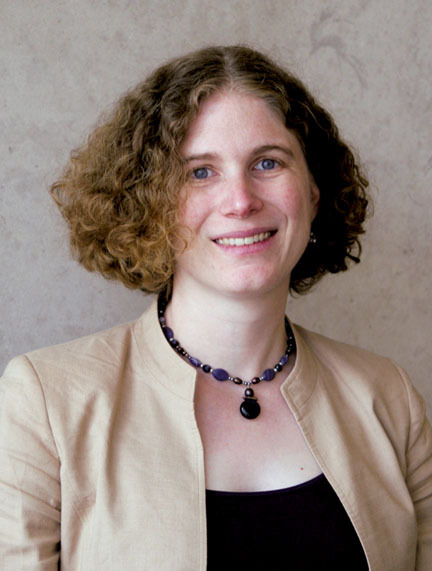 Estroff is an assistant professor of materials science and engineering at Cornell University. “My studies take inspiration from biological materials such as shells and bones,” she says. “I break down biological processes in order to control and understand them.” Her primary scientific interests are biomineralization and bio-inspired materials synthesis, including hydrogels and self-assembled monolayers, diffusion and crystal growth, and crystal nucleation. In 2006, Estroff was awarded a J.D. Watson Young Investigator’s award from NYSTAR. After receiving a Ph.D. in chemistry from Yale University and before joining the Cornell engineering faculty, she was an NIH-funded postdoctoral fellow at Harvard University.